I recently got a few new readers (yay! ), including one of my friend’s mum! 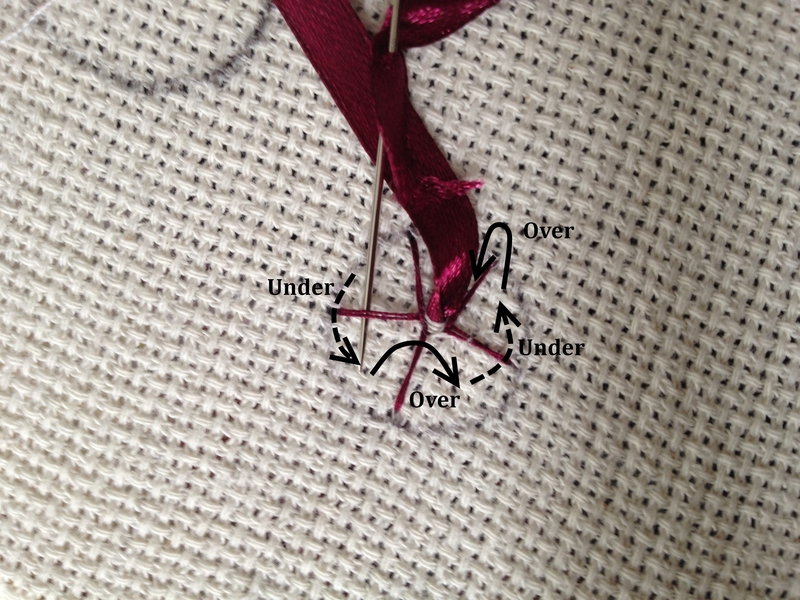 She made a special request for ribbon embroidery tutorials- so here I am- uber happy to oblige! Unfortunately I’m a bit squeezed for time, so I only managed to do spider web roses and having left my camera at home, I had to use my phone. So apologies for the blurry photos. 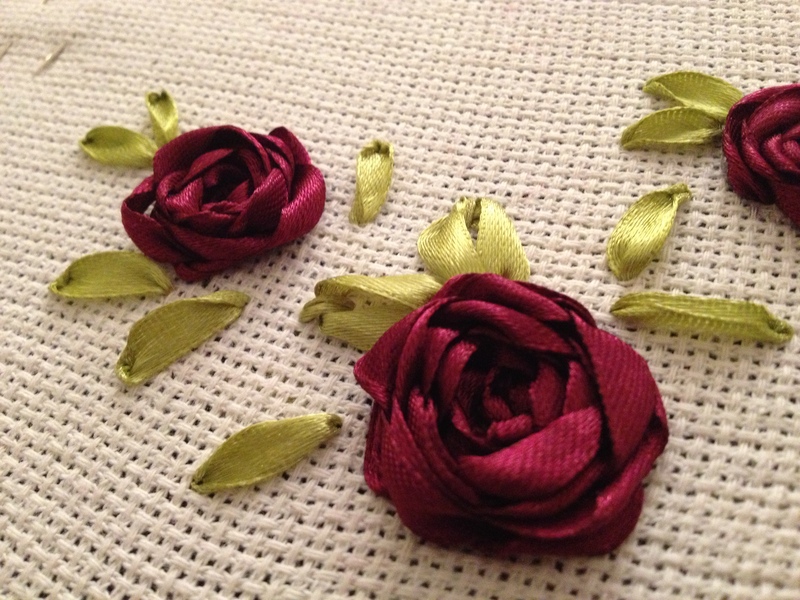 It’s such a beautiful type of embroidery, it just needs to be given a new lease of life. 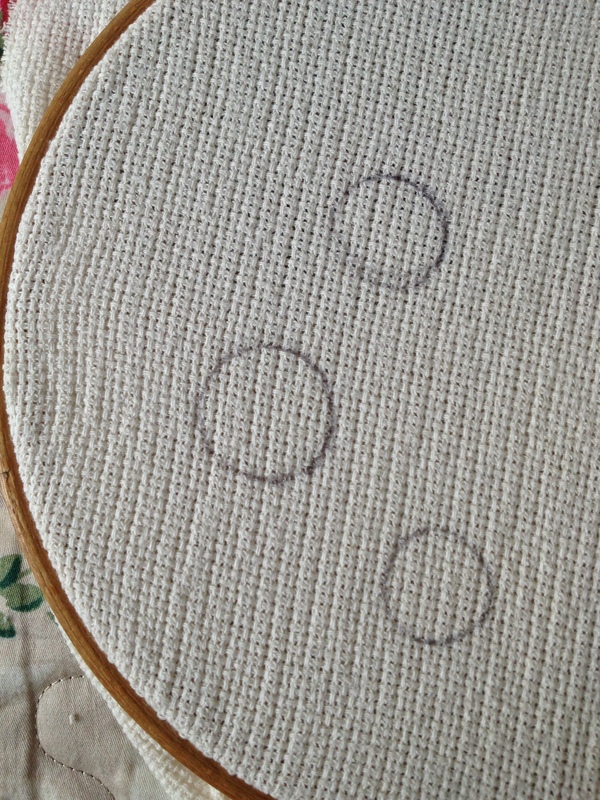 So my tips for non-frumpy ribbon embroidery? Keep it simple. Less is more. Don’t crowd it up! Use bright/rich colours. Stay away from sickly colours. Use a choice few colours. Again, less is more. The simplest and easiest ones to do! Decide how big you want your rose to be and draw around something similar in size. I use coins. 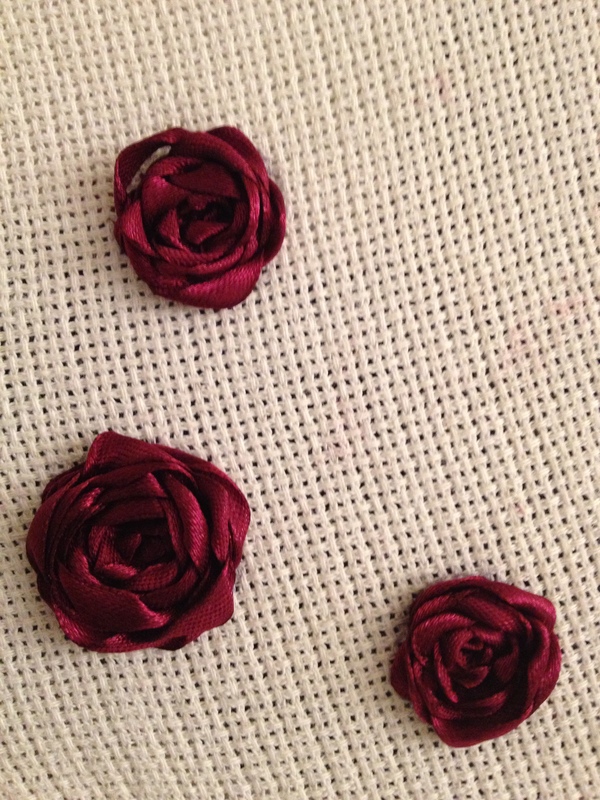 Personally I think 1 penny sized roses come out the best with 6mm ribbon- but experiment! 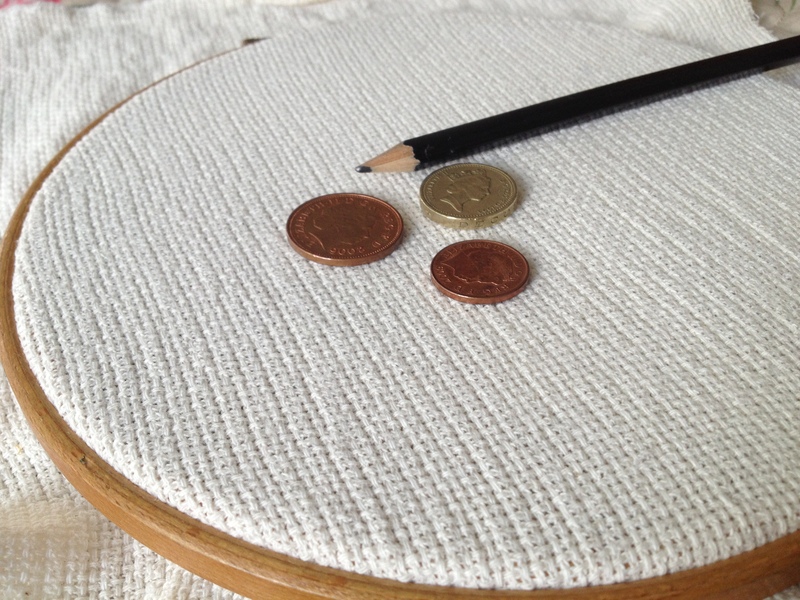 Here I’ve used a 1p, 2p and a pound coin to give you an idea of the different sizes. 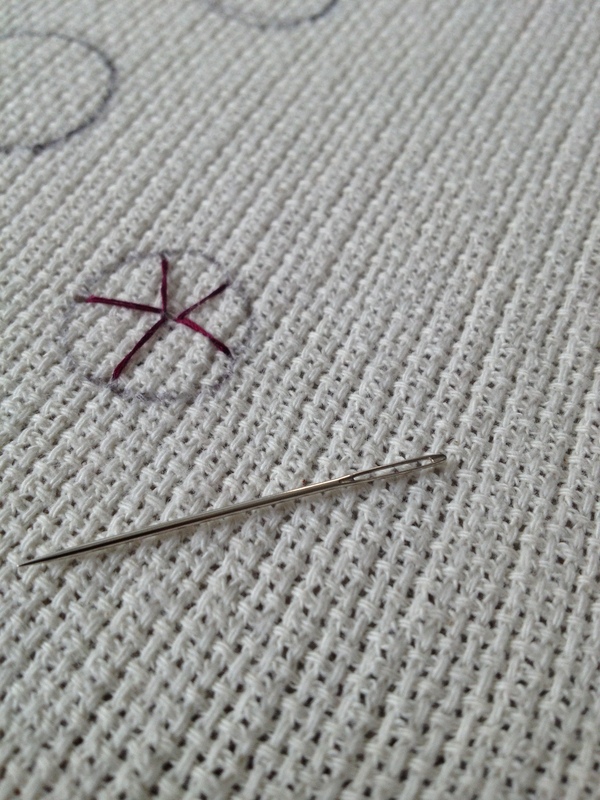 Using a needle and thread, come out in the centre of your circle and make a 5 spoked star shape. 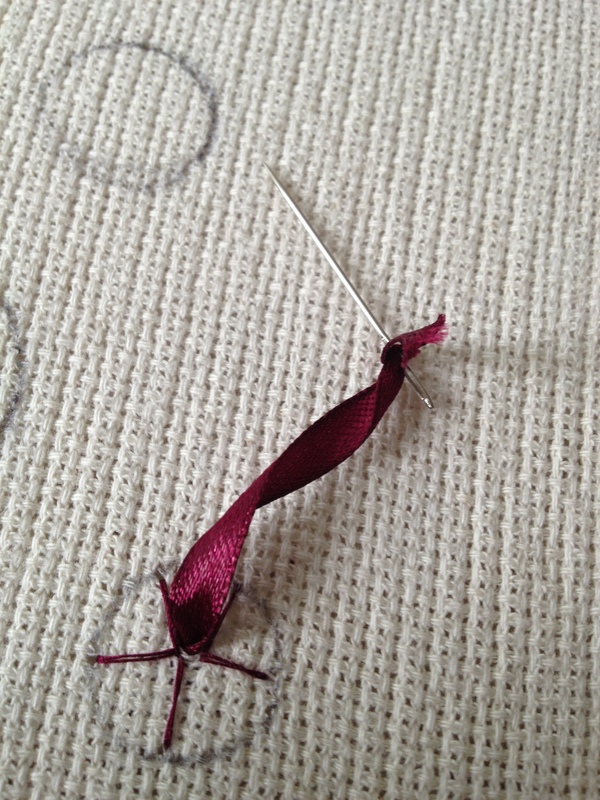 Thread your chenille needle with ribbon. 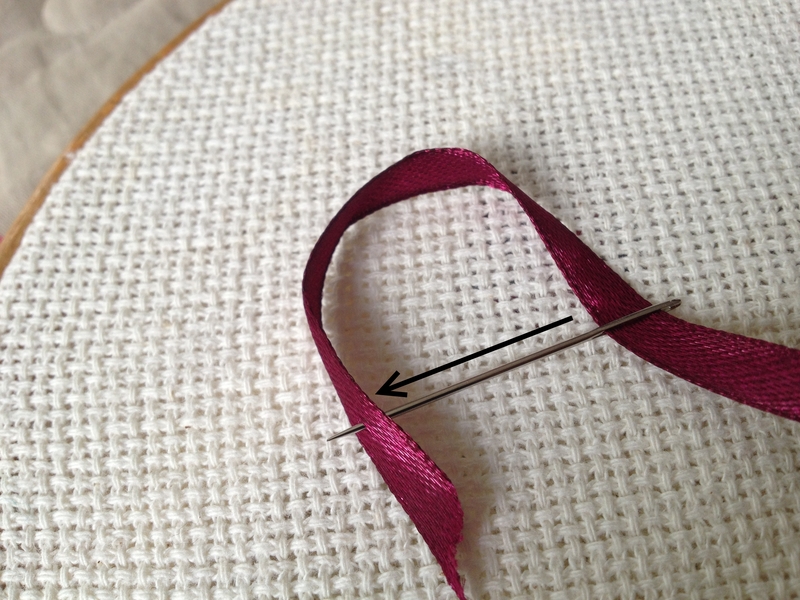 Then take your needle through the ribbon (if it has a ‘wrong’ side, go through the ‘wrong’ side), about 1cm away from the end. Bring your ribbon up through the centre of your star. 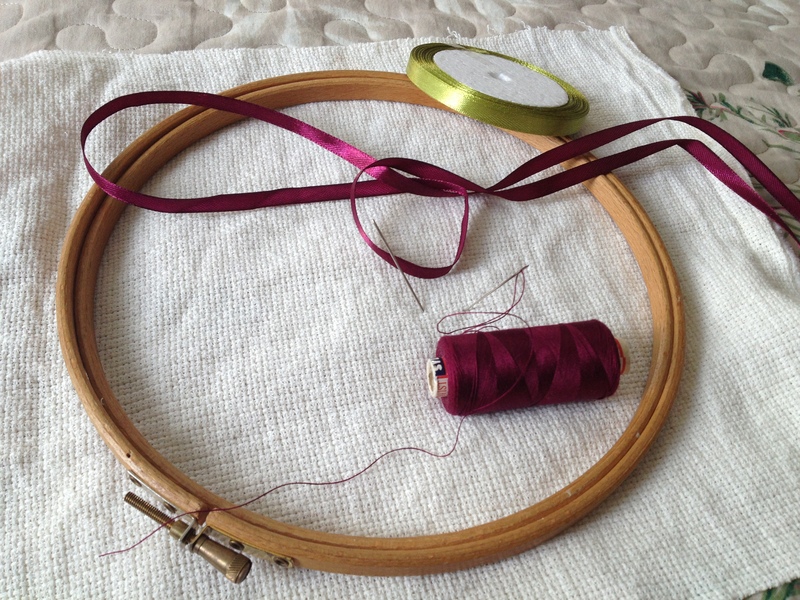 Now take the ribbon and weave it through the spokes. So over one spoke, under the next, over, under, over, under etc… And that’s basically it. Well I told you it was simple, didn’t I! 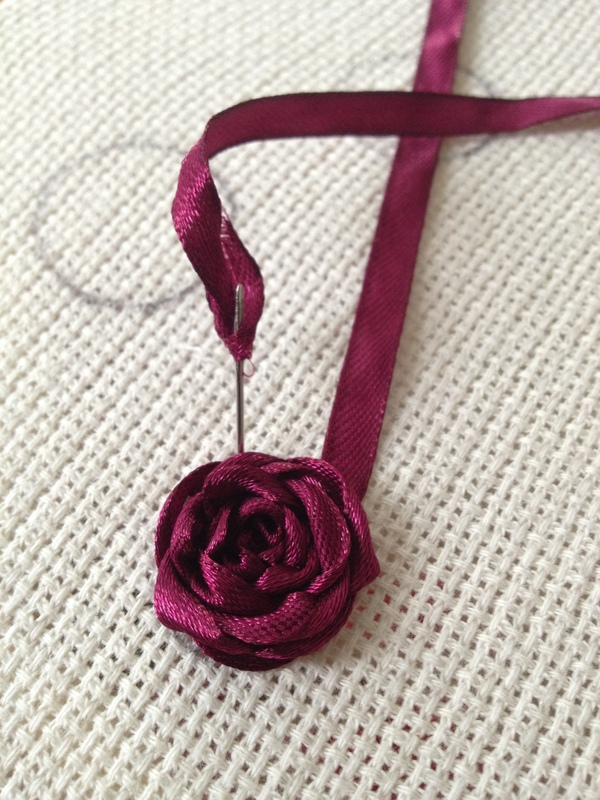 When weaving the ribbon, let the ribbon do it’s thing- twist and turn- giving it a more natural look. 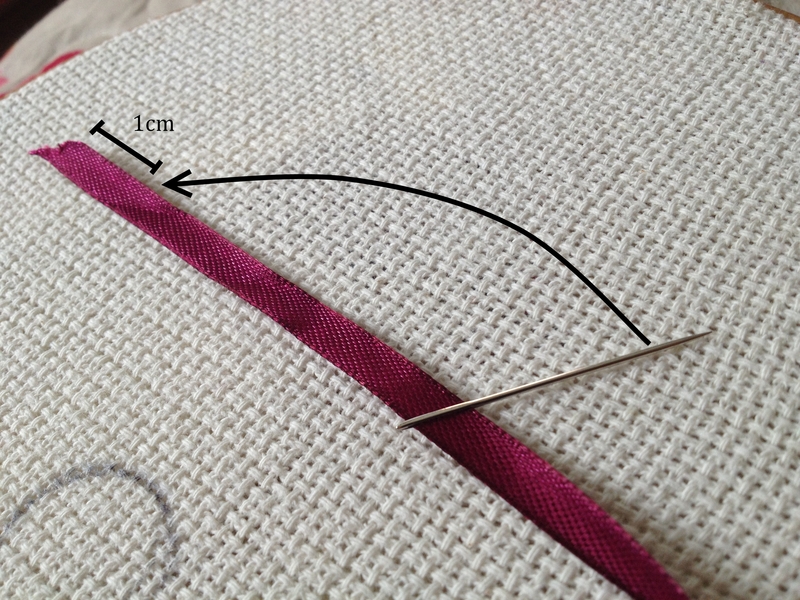 And when you’ve reached the size you want/covered the edge of your circle, just thread back through your cloth and tie off. I’m not gonna lie, I did take photos to show you how to do simple leaves but they turned out so awfully blurry that I’d be embarrassed to publish them! So you’ll have to wait til next time. 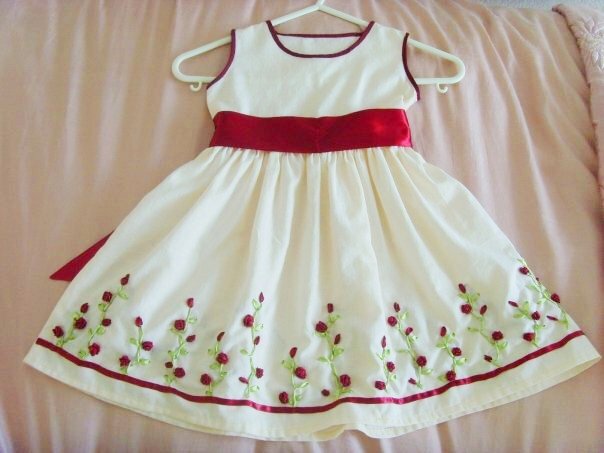 A dress I made for my cousin absolutely yonks ago. Oh thanks Linda! You’re an absolute star. I had no idea it could work like that! Thanks for the tip, much appreciated 🙂 no excuses not to post now eh?